Modern life afforded us with so many conveniences and luxuries. Things we have only dreamed about in the past are now realities we continue to enjoy at the present. Who would’ve thought we can do so much with a device that fits the palm of our hands? It sounds absurd right if you told it to your own self, say, 15-20 years ago. Yet, that is the reality we are living in now. We live differently from way back then but we somehow thrive off this new and much more virtual lifestyle except for at times sacrificing our health because of too much exposure to technological gadgets that emit harmful blue light and all. Unfortunately, this new lifestyle has opened us up to a new vulnerability and it continues to threaten us until today. Ransomware was the talk of the town last year. These apps took the world by storm and left in their wake hundreds of thousands of losses and even crippled organizations for days on end. This type of malware is not new to us but it keeps on evolving with the passage of time. It becomes more damaging too as it spreads quickly and takes on different forms. How many people have been scammed already and the list is expected to grow with new versions of ransomware malwares coming out. Ransomware scams may attack a computer near you soon, the FBI warned Monday. The computer software is malicious. It secretly installs itself and encrypts files only to hold the data hostage in return for payment of a ransom. Home and business, banking, academic and government computers can be impacted. In recent cases, victims have paid anywhere from hundreds to thousands of dollars. Usually the computer screen freezes and a pop up message warns that the user has violated some federal law and the computer will remain locked until money is paid, the FBI warned. These malwares no longer ask for just ransom anymore because some can be used in cryptocurrency mining like bitcoin and other alternative currencies. Fortunately, there are measures you can take to protect your device from these shady practices on the web if you are well-informed about these issues at all. Hence, it makes sense to back up your data if you want to spare yourself from all the hassles of data loss and paying a hefty price for it. If you find yourself in this difficult situation, these services may help https://www.harddriverecovery.org/raid-data-recovery.html and https://www.harddriverecovery.org/mac-data-recovery/ for reasonable prices but ensure the job is done 100% right. 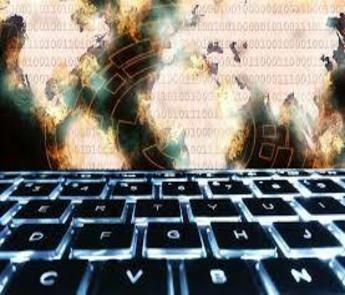 An ever-evolving form of malware has added a new tactic which sees it choose to deliver ransomware or a cryptojacker depending on the circumstances of the infected victim. If an infected computer contains a bitcoin wallet, the malware will install file-encrypting ransomware — if there’s no pre-existing cryptocurrency folder and the computer is capable of mining cryptocurrency, a miner will be downloaded and installed for the purposes of exploiting the PC’s power to generate cryptocurrency. Ransomware these days aren’t always just out for a ransom. There are bugs that can now hack your system and take advantage of its computing power in order to mine for cryptocurrencies. It’s already a known fact especially when these vicious virtual bugs don’t find any type of Bitcoin wallet in your system. An example of this malware is that of the Rakhni Trojan that has been causing problems since 2013. It is even more understandable now as the popularity of bitcoins and other digital currencies have skyrocketed and continues to gain public acceptance and support. Be especially wary of phishing emails because this is the most common trap that the public falls for. It is why anyone who uses or owns a computer must exercise extreme caution because threats are all over the web and don’t tell that you haven’t been warned when the unfortunate times comes you fall for it. The Myth, The Legend: Trump – Conspiracy Theories, Anyone? Can You Really Prevent Data Loss? Data Recovery Cost: Is It Worth It? Remote Data Recovery: Is It Right For You? Deleted Files: Where Do They Go? Should You Consider A Hard Drive Recovery Service? © 2019 Hard Drive Recovery Group Blog | Theme: Uniform by Mystery Themes.